The largest country in both South America and Latin American region is Brazil. When we think of Brazil a vibrant song comes into our mind with colorful, festive elements of the country. But today our focus is not talented soccer players or the samba festival. Prisync Blog contains a previous examination of the e-commerce sector of Brazil in here but we know that updating makes perfect J We will go over the main strengths and opportunities of the e-commerce sector of Brazil with you. Are you ready to dive in? Brazil is the 9th largest e-commerce sector in the world. Between the Latin American countries, Brazil is the only one which is in the global top 10 of e-commerce. E-commerce sales in 2015 have reached $19.8 billion and are expected to reach $22.5 billion in 2016. The estimations towards 2019 show that, $30.1 billion worth of an e-commerce market is waiting for Brazil. This exciting information makes us wonder what makes Brazil special. Here are some details to keep you impressed. More than 50 percent of Brazilian people have access to internet and 60 percent use smart devices. This suggests a good m-commerce opportunity for the Brazilian e-commerce market. The Brazilian people have experienced an expansion in their income which increased the portion of middle class. This has affected the increase of demand towards commodities and increased shopping activity in the market as well. Since the community is active on the internet the expansion of e-commerce market does not seem to be affected by other macroeconomic challenges. People are looking for good prices online and this drives them towards cross-border shopping, which is good news for new market entrants from abroad. Low app sizes since Brazilian mobile devices lack storage generally. If you are interested in starting a business in Brazil a good guide for you will be techinbrazil.com. There are a number of legal points you need to follow and also taxation rules are important to run your business. You can check out this guideline for starting. It is important to know which categories are not allowed to be imported as well. An example can be food category. The active part of the community is between the ages of 35-49 and the second in line is the ages over 50. It is important to fulfill their needs and get acquainted with their life style. Brazilian customers are fastly adopting new technologies and as we can see the age groups are not only the younger part. An important thing for them is to have different payment options. Nowadays the most used payment options are credit cards and Boleto Bancário which is a ticket for spending. Debit cards are not the main payment type but it is following credit cards and boletos. 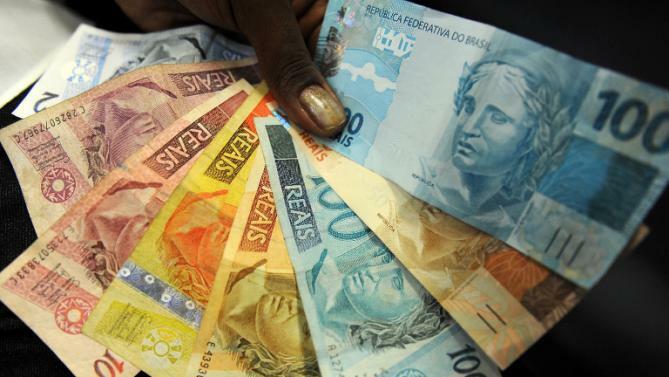 Brazilian shoppers prefer to pay in installments. Magazine Luiza, which is one of the oldest and settled brands of Brazil, has seen this behavior and actually went for it. It has provided a financial system for Brazilian people to shop from them with a credit they can pay in installments which has actually worked out pretty good. As we have mentioned earlier in here, video marketing is an upcoming trend and it is no different for Brazil e-commerce. Brazil has the largest video audience in Latin America. The Brazilian users are into the worldwide players such as Youtube and Facebook. Their local video platforms are Globo and UOL which follow after the global players. The increasing usage of internet is one of the factors in the growth of video consumption in the country. Funny, viral and music videos are the most popular in this area meanwhile the most subscription are to gaming and entertainment channels. Brazil’s improving customer baseline is promising. The country has an upward shift in its e-commerce sales and the m-commerce is following this trend as well. In order to make it big in Brazil mobile, video marketing and different payment options can be your keywords. Cross-border e-commerce is appreciated and local businesses are also following the global trends and integrate them to the needs of the Brazilian community. We will keep an eye over Brazil for e-commerce since it is flourishing so beautifully. Join us when you can. Brazil’s e-commerce market is flourishing through increasing internet and mobile access. Customers of Brazilian e-commerce, is looking for different products and good prices. Prisync offers an online price tracking system which allows you to compare your prices with the market and have the best prices worldwide.